Looking very nice, but i was wondering if there was a particular reason why you kept melee combat stats low compared to your other stats? That moment when you still think that nobody know you are stalking progress threads... 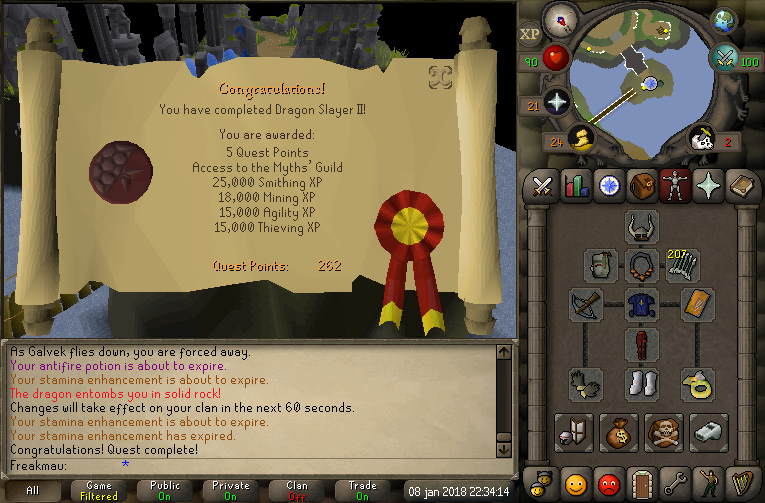 I just got back to the game recently as well, last month to be exact. This goes without saying... keep updating the thread! Go go 2k! 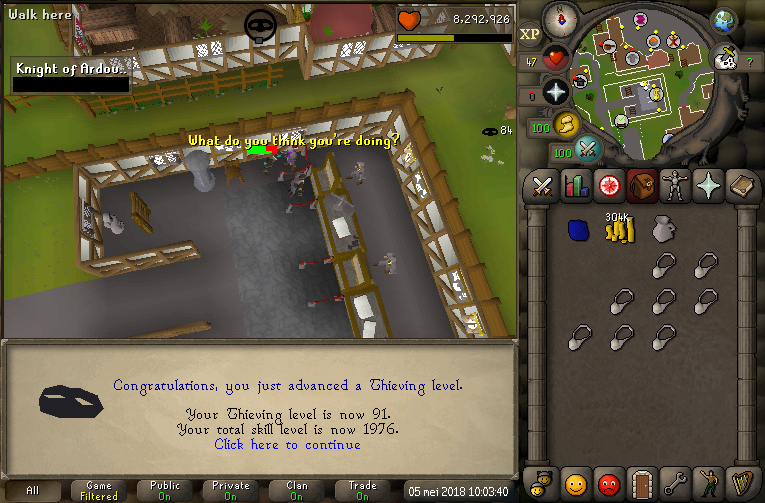 It's actually been a long time since I played the entire duration of a 14-day lasting bond converted membership, so I might just be able to keep this updated. 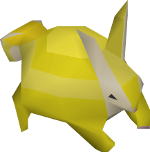 Anyway, the latest news is that I got 80 mining and killed the required amount of black knights for the falador elite diary. 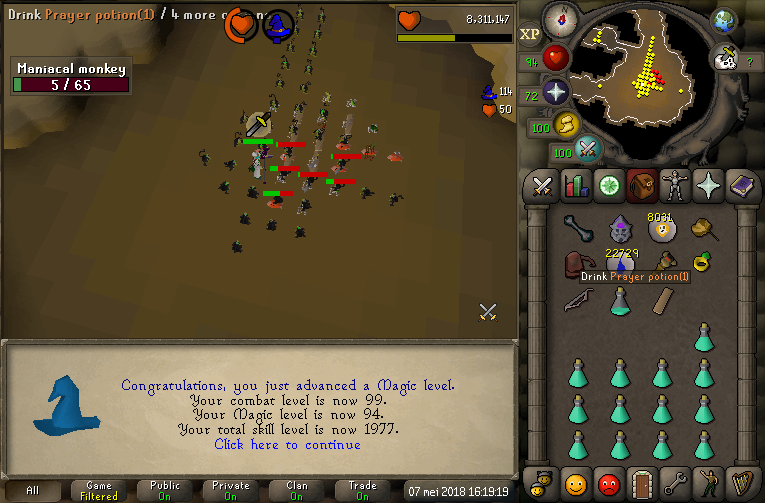 I might just finish the desert elite diary soon if I get the last magic level and when I feel confident enough to kill the wilderness bosses. That's all for now, maybe till soon! 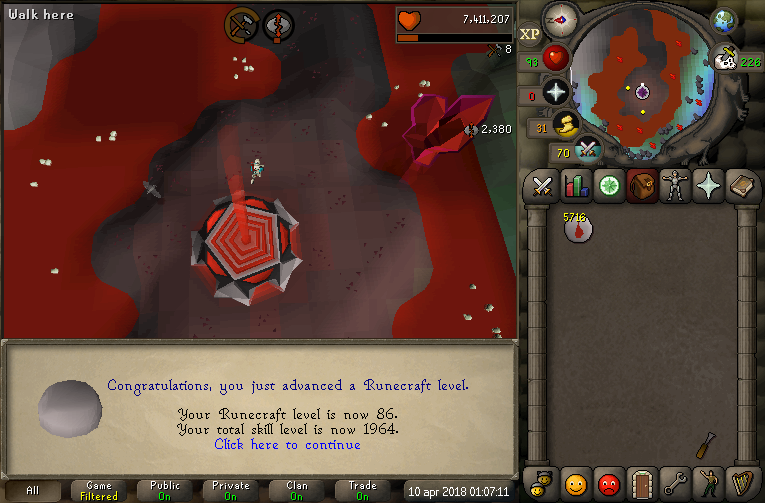 It has been a while again but I have made some massive progress and getting really close to that achievement diary cape. 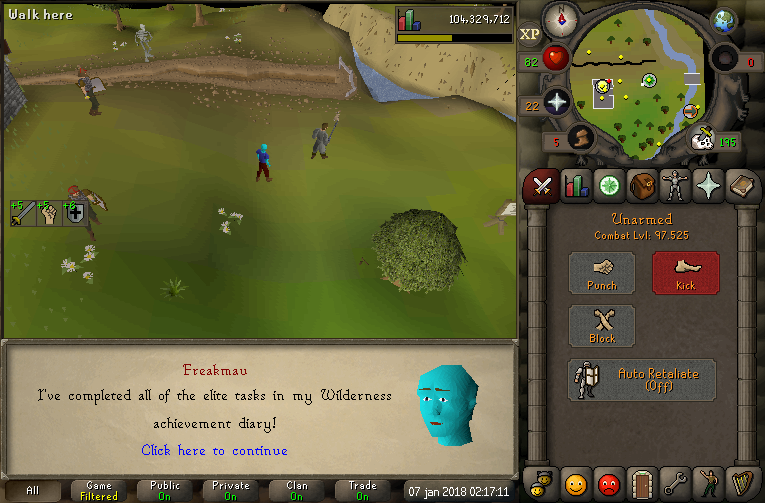 Finished Wilderness & Fremennik recently (special thanks for Moon Light & Magic Mango. 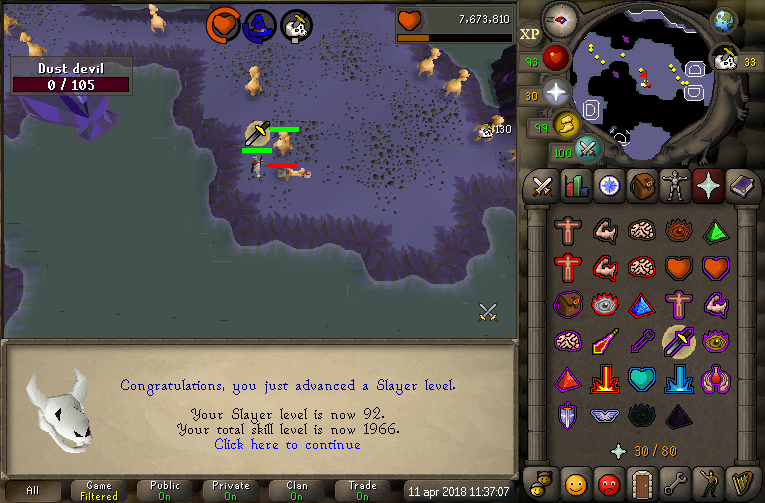 Most recent level up was Slayer 89 so getting close that 93. 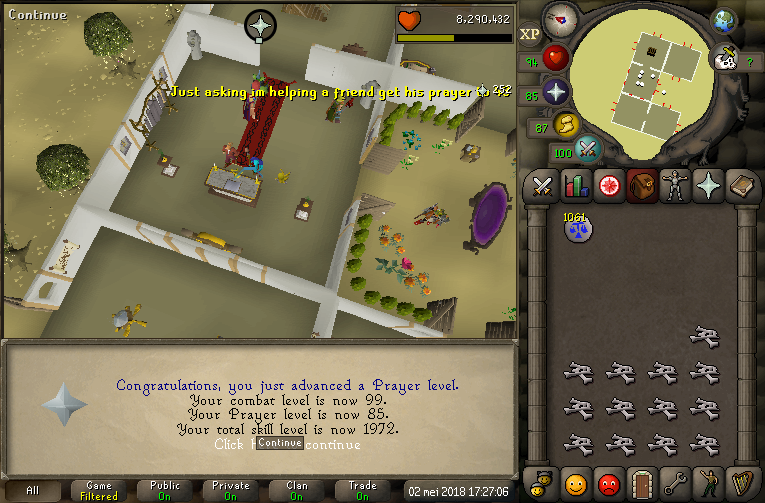 91 (84) Thieving & 85 (79) Prayer for Desert. 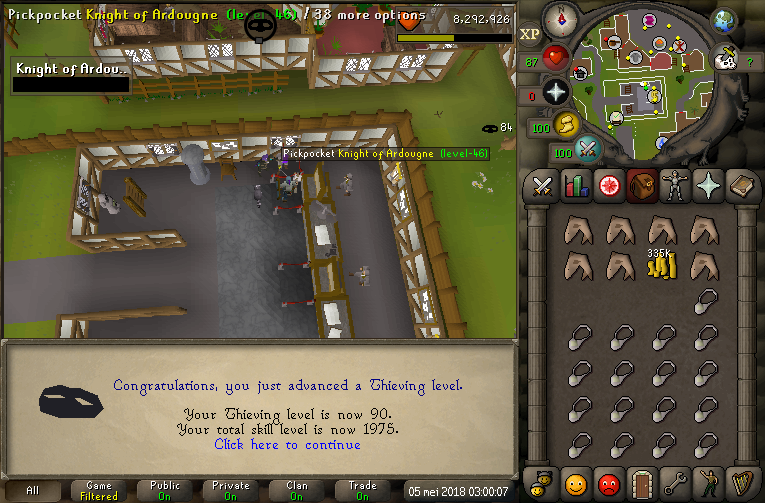 The most stylish way I'll get a 99 probably. 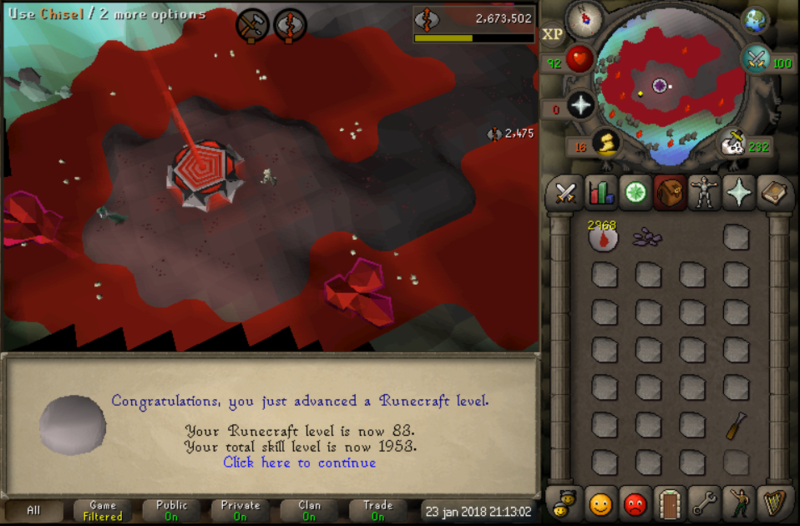 Did some Runecrafting grind during the first days of the skilling competition and got 77-83, which means I was able to complete the Falador elite diary. 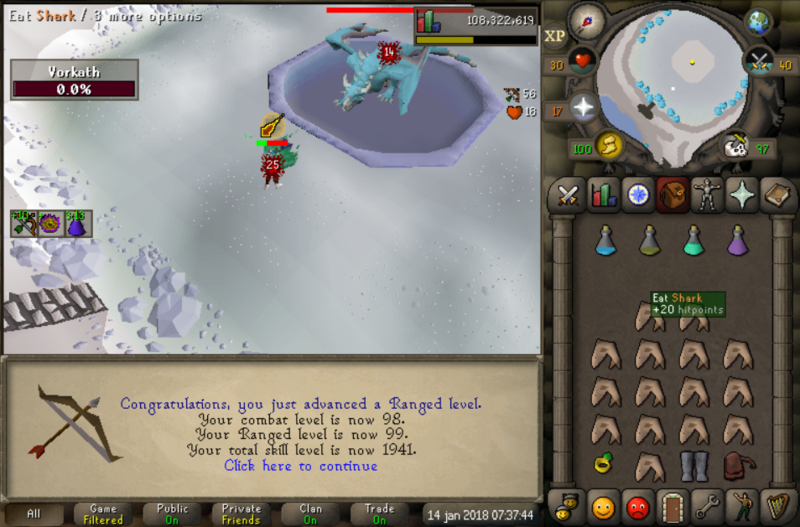 As it currently stands I am 98 combat and have 3 diaries left to complete (Western Provinces, Karamja & Desert). 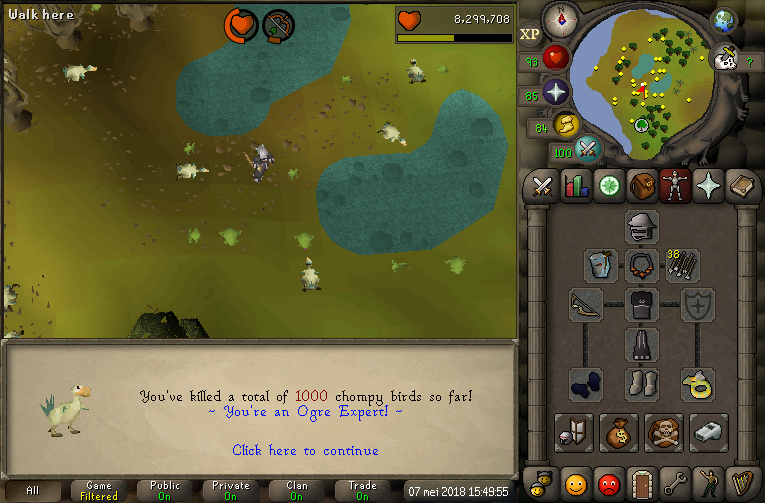 I'm not sure what my plans are, but I think I'll go for Thieving 91 & 85 Prayer first to complete Desert diary, after which I can solely focus on slayer/100 combat. Goodluck in the competition too! Love the longterm goal. 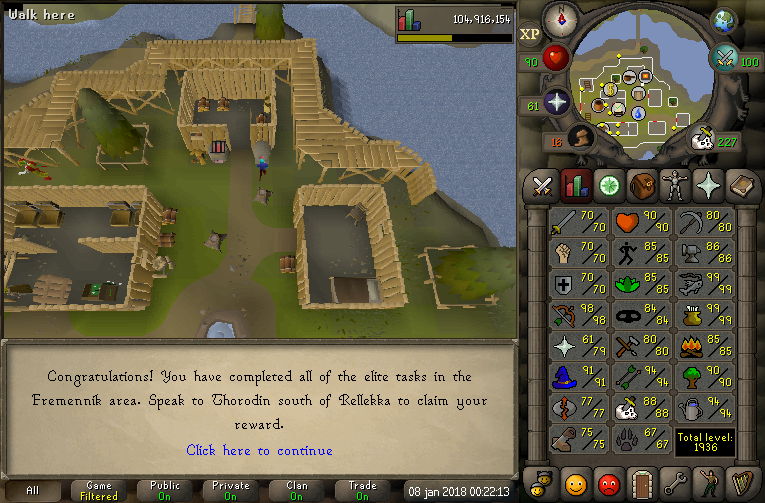 nice progress so far! 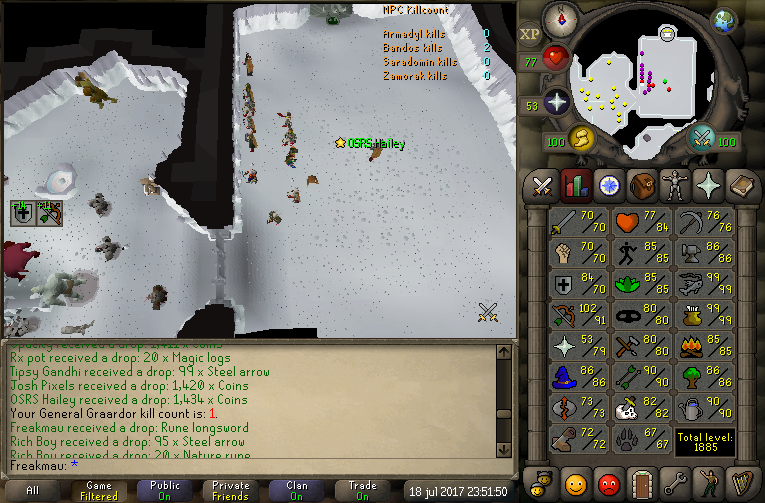 Only two hitpoints levels left for diary cape! 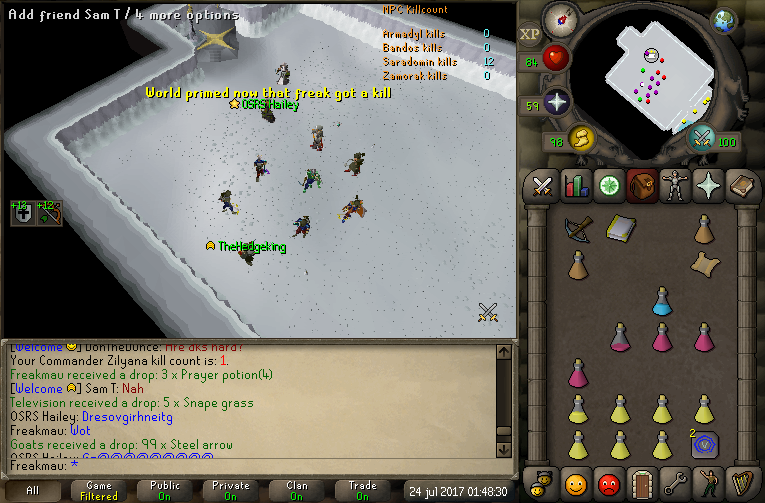 Got this while bursting my way there.